By the illustrator of Horrible Science (what a dude) – a superhero story that’s got us all buzzing. 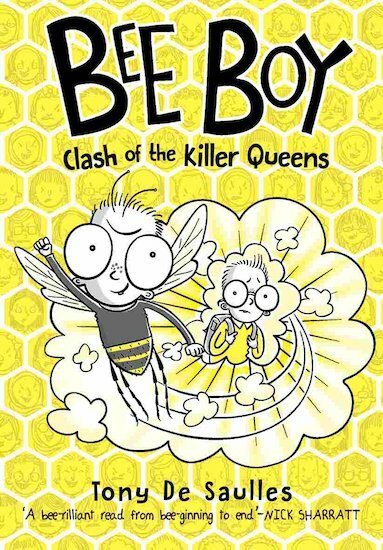 Meet a hero who’s half bee, half boy and 100% brilliant! For a smallish kid, Melvin has some big worries. There’s the fact that he loves bees, and that bees are in danger. There’s the way Mum’s always so tired when she comes home from her job on the police force. 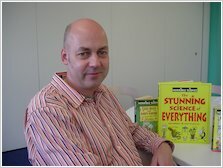 Worst of all, there’s Norman Crudwell, the horrible bully at school. On the plus side, Melvin has a rather cool secret. He can turn into a bee when times get really tough. But with killer wasps, huge scary hawkmoths and the nasty Norman to deal with, can Melvin keep flying high – without getting stung?